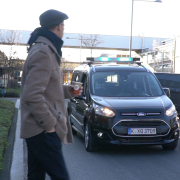 Ford is engineering a light-based language to help autonomous cars communicate with pedestrians. 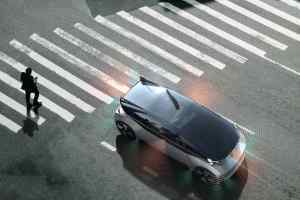 Just as there is almost a unique sign/mime-based language that drivers use to communicate with each other as well as pedestrians, Ford has surmised that a similar dedicated language can be developed for autonomous cars to ‘communicate’. Using lights to, if you will, indicate what a car is doing seems like nothing new, but the system is a little more sophisticated than flashing ambers at either side of a car. 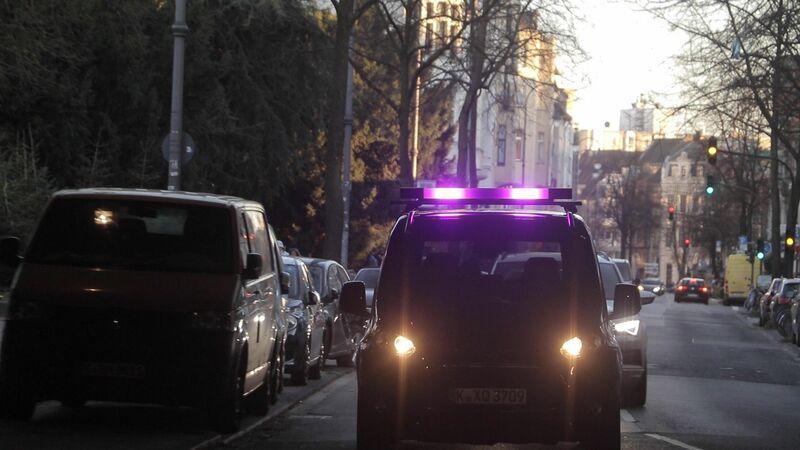 Testing, in conjunction with the Chemnitz University of Technology in Germany, involved a Transit Connect rigged with lights on the top and crucially, a hidden driver. 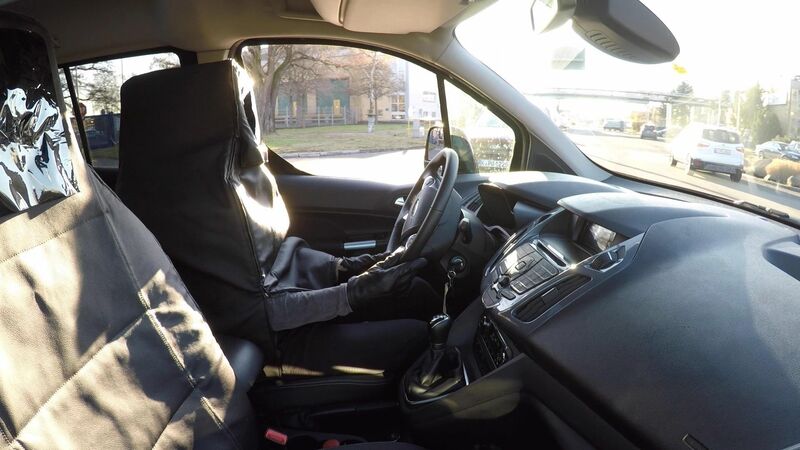 The ‘human car seat’ to hide the driver made it easier for observers to gauge bystanders reactions to the lights, rather than their responding to the driver behind the wheel. 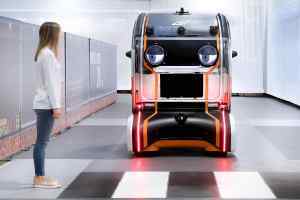 Of the 173 people surveyed, 60 percent thought it was an autonomous vehicle. Those surveyed, combined with observations of a further 1,600 people found that turquoise was the best colour for lights for noticeability and is less easily confused with red than purple is. Trust in the signals the lights were giving was encouraging, too, thus providing a basis to develop the ‘language’. 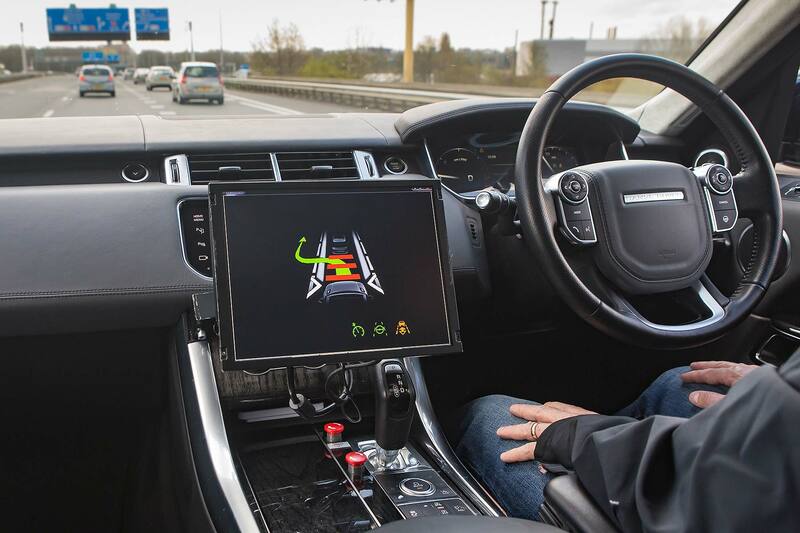 With autonomous cars due to take to roads around the world from 2021 onwards, the hurdle of communication between humans and self-driving vehicles needs to be cleared. “Making eye contact is important – but our study showed that first and foremost road users look to see what a vehicle is doing. The next step is to look at how we can ensure the light signals are made clearer and more intuitive,” said Dr Matthias Beggiato of the university’s department of psychology. 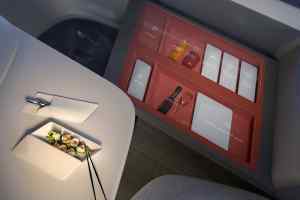 Volvo wants to bring the first-class flying experience to the road. How? With the new 360c concept. What is the Volvo 360c? 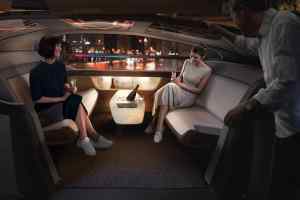 Volvo has revealed a surprise new concept car called 360c, a vehicle it describes it as “a holistic view of a future of travel that is autonomous, electric, connected and safe”. It all sounds both very futuristic, and very Volvo-like. On the surface, it’s a future-looking concept not unlike any other. It’s not unattractive and it is discernibly a Volvo – a change from most manufacturers’ anonymous visions of the future in a similar mould. What’s inside the Volvo 360c? This is where it gets interesting. To all appearances, the Volvo 360c is entirely configurable to your personal needs. Indeed there are four potential uses – sleeping environment, mobile office, living room and entertainment space. All are said to “reimagine the way people travel”. 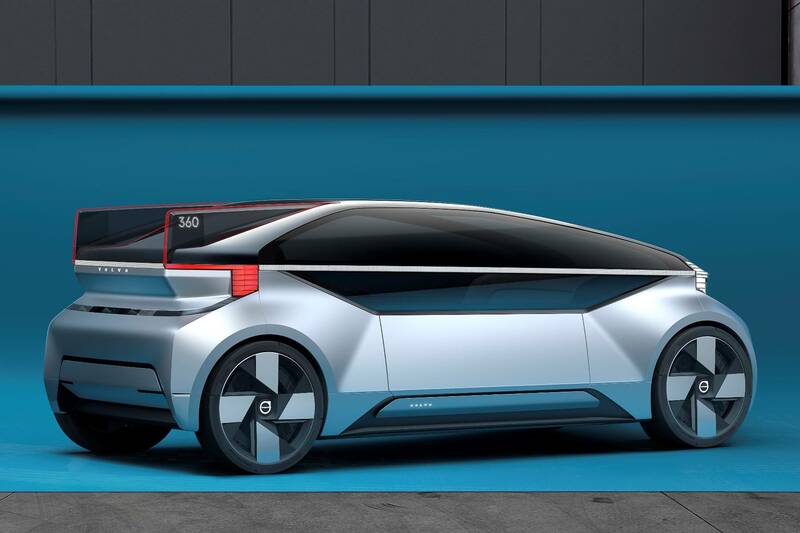 Volvo wants this car to bleed into other areas of your life and in doing so, improve it – transport, work and otherwise. A hotel room-come-cabbie on the go to help you “recapture time while travelling in the cities of the future”. 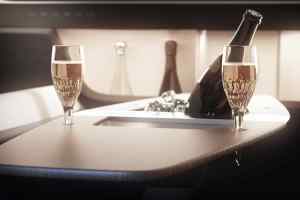 Pictured are a bed configuration, with the cabin not looking unlike a first-class pitch on a transatlantic flight, an office arrangement, fit to seat four, a party arrangement, complete with champagne, and a standard living room-style setup. 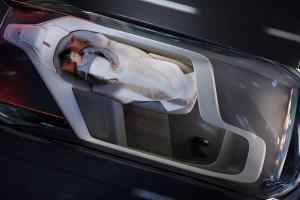 It’s all rather appealing and well thought-out, especially when you consider Volvo’s musings on the future of transport. 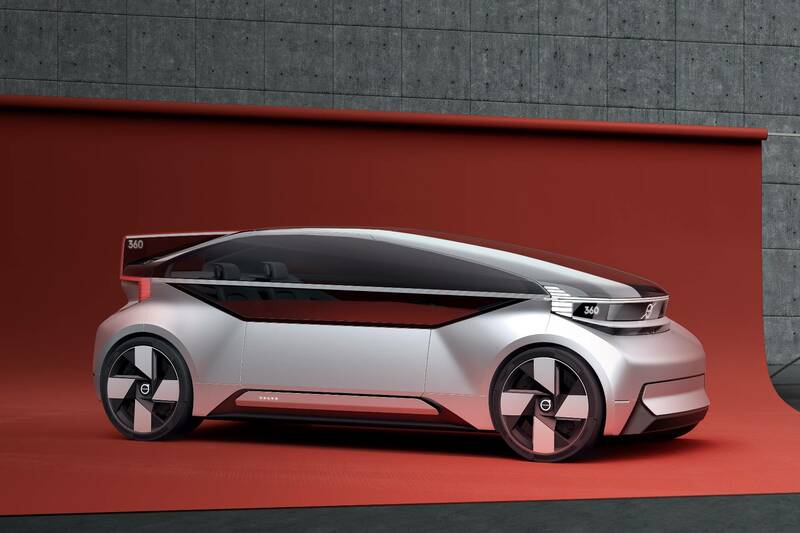 “Autonomous vehicle concepts have a tendency to become a technology showcase instead of a vision of how people use it,” said Robin Page, senior vice president of design at Volvo Cars. What’s the point of the Volvo 360c? The conversations this 360c was built to start, are the point. 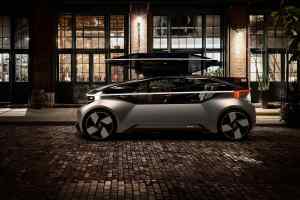 Volvo are keen to stress the scale of the quantum leap in transportation that the advent of autonomous cars represents. 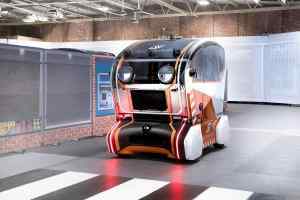 How far-reaching can the remit of the autonomous car be? 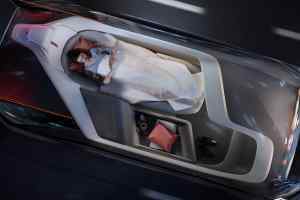 Volvo reckons pretty far, citing domestic air travel as a target that it thinks a network of these pods could beat. The apparent inconvenience of domestic flights, as taken by some 740 million of us by Volvo’s maths – security, cramped seating, emissions output and so on, all to be remedied by a comfortable across-country ride in the Volvo 360c. Before we get to that stage though, we need to lock down how an autonomous infrastructure is going to work. 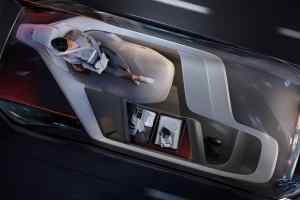 To this end, the 360c is intended as a conversation catalyst, and it’s a conversation Volvo is keen to have as soon as possible. 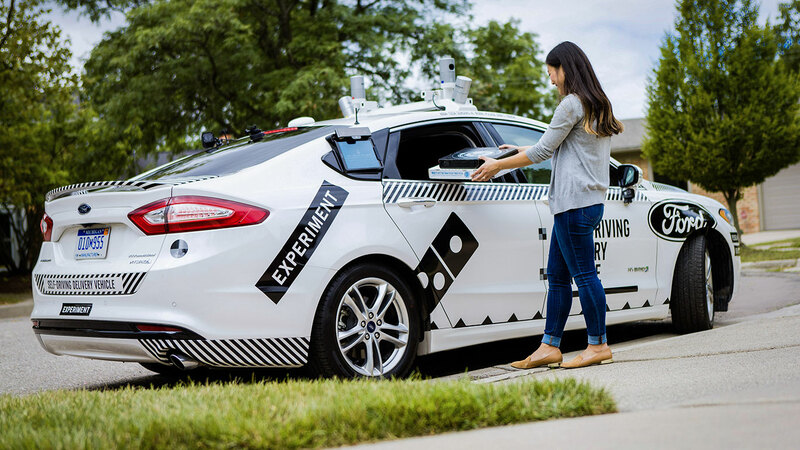 Ford has teamed up with pizza firm Domino’s to trial a self-driving pizza delivery fleet in Michigan. Domino’s customers in the Ann Arbor area of Michigan will be randomly selected to take part in the experiment starting within the next few weeks. 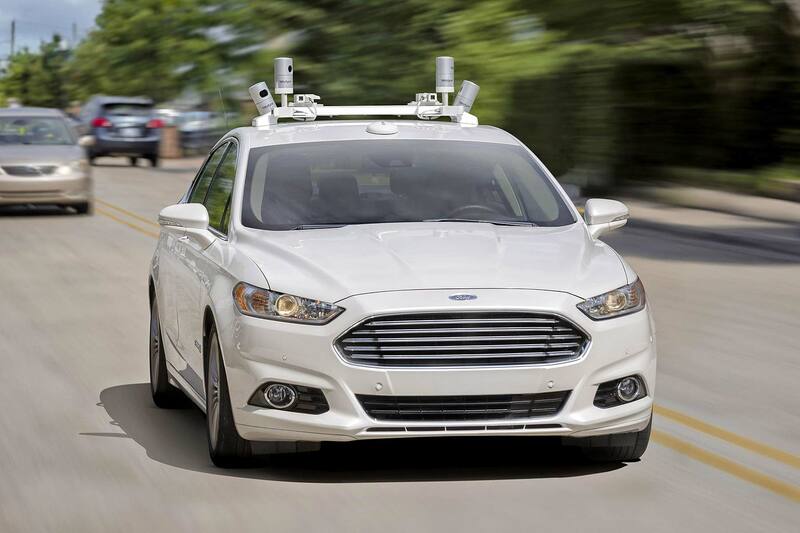 The autonomous car, a Ford Fusion Hybrid (sold as the Mondeo in the UK), will be driven manually by an engineer. A number of researchers will also be on hand. Customers taking part in the trial will be able to track the delivery vehicle using GPS. They’ll be sent a text message as the self-driving car approaches, giving them instructions on how to retrieve their pizza using a unique code. And that could be the stumbling block. Rather than having the pizza delivered to their front door, they’ll have to walk to their driveway or even the road near their home to collect the pizza. “We’re interested to learn what people think about this type of delivery,” said Domino’s USA president, Russell Weiner. Ford says research with major companies, such as this with Domino’s, will be crucial to overcome obstacles and enhance the customer experience. 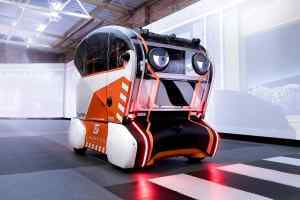 The US giant has preciously announced plans to begin production of self-driving vehicles in 2021. Tesla has written to its UK customers (and prospects) announcing details of the latest update to its Autopilot software. Owners can now experience so-called ‘Enhanced Autopilot’ features, available for £5,000 for all new Tesla models, or £6,000 if retrofitted. The news comes following a busy period for the firm’s HR department, with a leading AI and computer vision researcher joining the company, but several experts leaving the Autopilot team. According to electrek, Berta Rodriguez-Hervas, one of the first customer vision experts working on Autopilot, has joined Tesla’s former head of computer vision, David Nistér, at chipmaker Nvidia. Tesla’s Autopilot team has recently lost the head of the visual perception team and the leader of the geometric vision section. Earlier this week, Andrej Karpathy joined Tesla as the new director of AI and Autopilot Vision, reporting directly to Elon Musk. According to Techcrunch, Karpathy created one of the original, and most respected, deep learning courses taught at Stanford University and is described by Tesla as “one of the world’s leading experts in computer vision and deep learning”. Away from the HR department, Tesla UK is inviting customers to upgrade to the latest version of its Autopilot software. Features include traffic-aware cruise control, autosteer, auto lane change, parallel and perpendicular autopark, and summon. Automatic emergency braking, forward and side collision warning, and more advanced safety features are also active and standard. “All Tesla vehicles have the hardware needed for full self-driving capability at a safety level substantially greater than that of a human driver,” claims Tesla. 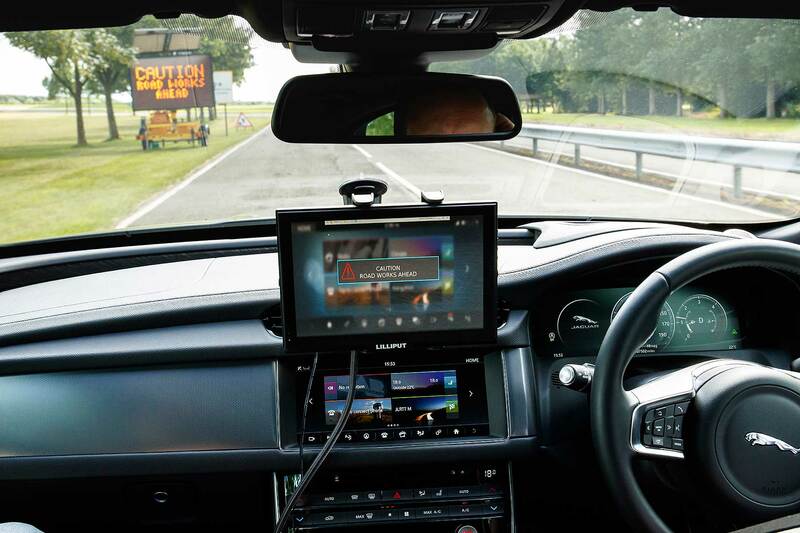 The electric car company has released a video to demonstrate the capabilities of Autopilot, which it says uses eight surround cameras to provide 360 degrees of visibility around the car at up to 25 metres of range. 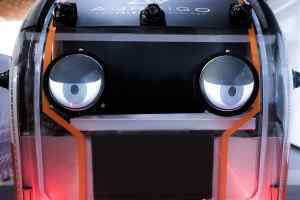 Twelve updated ultrasonic sensors complement this vision, allowing for detection of hard and soft objects at nearly twice the distance of the previous system. A forward-facing radar is able to see through heavy rain, fog, dust and even the car ahead, claims Tesla. 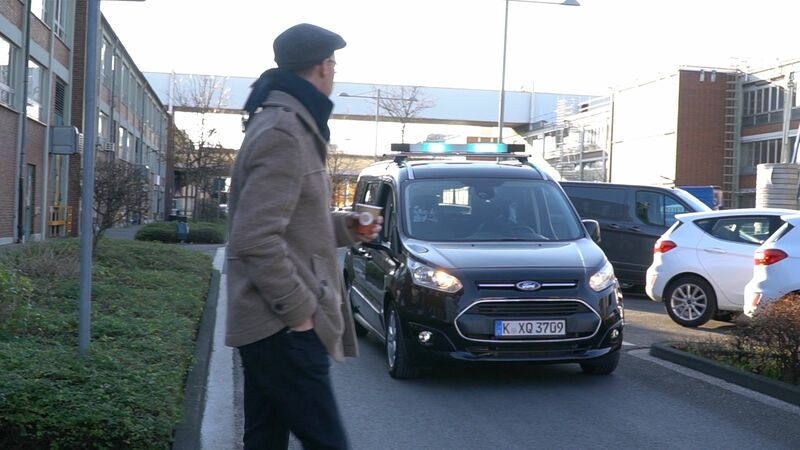 Overall, the tour of the neighbourhood using full self-driving hardware is highly impressive. The driver is, quite literally, as passenger and only there for legal reasons. There are, perhaps two incidents which demonstrate that there’s room for improvement. Notice how the car stops for two joggers at around the 55 seconds mark. The Tesla also stops for no apparent reason around the 1:33 mark. 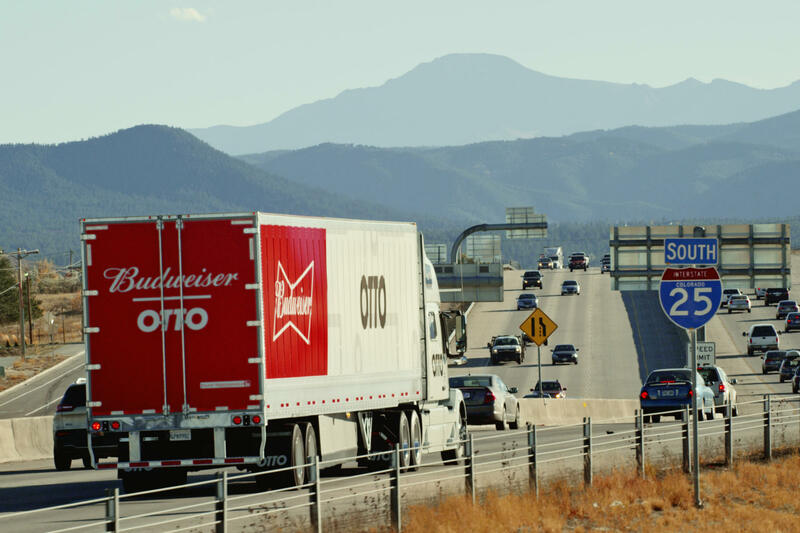 A lorry-load of Budweiser beer has successfully been transported 120 miles across the US state of Colorado without the aid of a human driver. 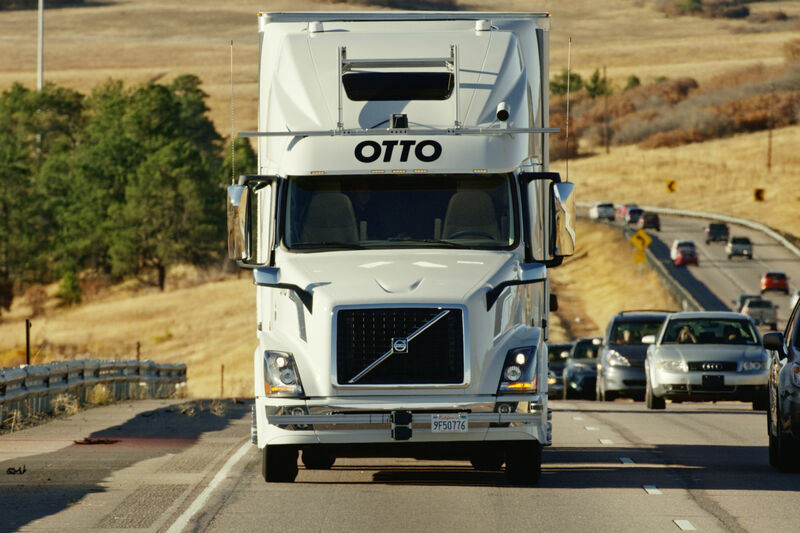 The company behind the stunt, San Francisco tech start-up Otto, says it is ‘rethinking transportation’. 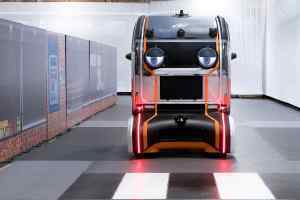 It’s aiming to reduce both costs and cut the number of crashes involving long-distance lorry drivers by introducing driverless trucks. Working with US brewing company Anheuser-Busch and with the support from the state of Colorado, a self-driving Volvo truck hauling a fully-laden trailer of Budweiser beer travelled 120 miles along the highway from Fort Collins to Denver. “The incredible success of this pilot shipment is an example of what is possible when you deploy self-driving technology. It also showcases the importance of collaboration with forward-looking states like Colorado and innovative companies like Anheuser-Busch,” said Otto Co-Founder Lior Ron. 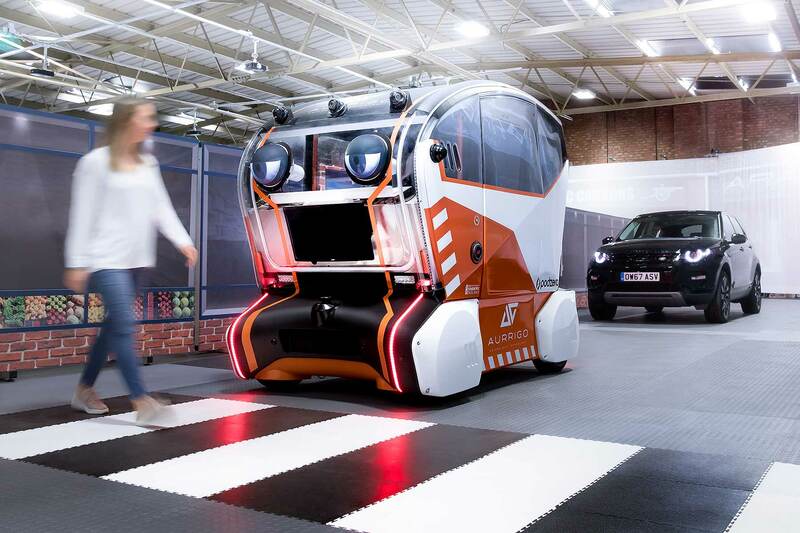 A professional truck driver was in the cabin ready to take over during the experiment, but he didn’t have to take control from the driverless lorry at any point. 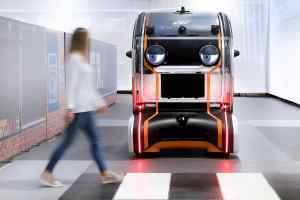 Otto says the majority of crashes on US roads are caused by human error, and by taking the human element away the road network could be considerably safer. It also suggests that a shortage of drivers is putting pressure on truck drivers to work long hours, a risky strategy that could be combated using autonomous vehicles. “Anheuser-Busch is passionate about innovation and exploring ways to improve the safety, sustainability, and efficiency of the industries our business touches,” said Anheuser-Busch’s senior director, logistics strategy, James Sembrot. Tesla will launch a truck, a bus, a “beautiful” solar roof battery storage product, autonomous vehicles that are 10 times safer than normal cars and an app that will let you share your Tesla with others (and get paid for it). The plans are detailed in Tesla founder Elon Musk’s second ‘master plan’, which he rolled out overnight to focus the company’s next decade. It’s part of his ambition to accelerate the viability of sustainable energy “so that we can imagine far into the future and life is still good. Musk therefore has four far-reaching goals over and above the volume development of Tesla’s passenger cars (the mainstream Model 3 is still due in 2018). On sustainability, Musk wants to develop a solar roof product that’s linked in with a battery storage system that will turn everyone into their own utility company. It will be simple to order, simple to install, have a simple utility contract and be linked to a simple smartphone app: a fully integrated energy generation and storage solution. 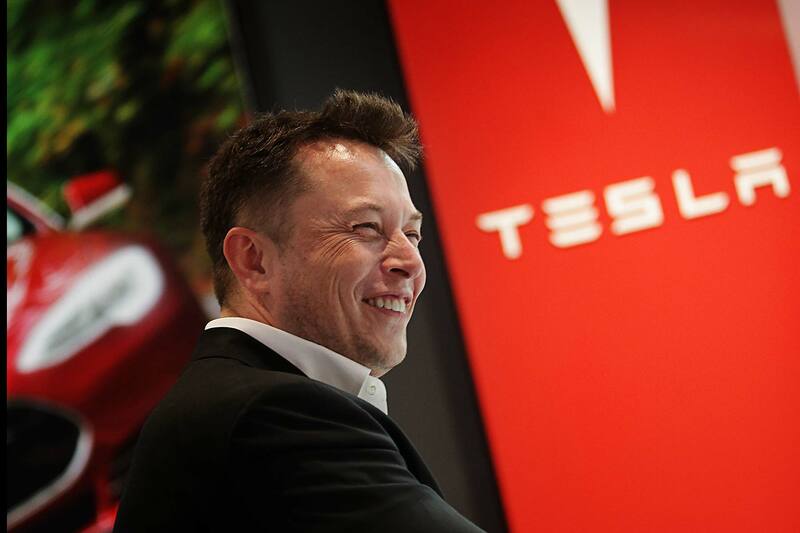 That is why, says Musk, Tesla has been joined up to one of his other companies, SolarCity. But Musk also has big plans for Tesla motors. Tesla wants to make more vehicles. Musk reckons he has the passenger car segment covered – “a lower cost vehicle than the Model 3 is unlikely to be necessary” – and will broaden the lower end of the range with a better, smarter Tesla bus. 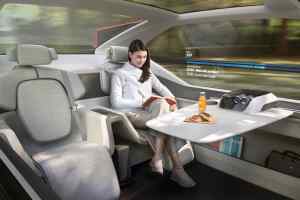 A Tesla bus would be smaller, smarter, comfier and autonomous: it would match acceleration and braking to other vehicles. It would take wheelchairs, strollers and bikes. There would be no centre aisle. It would take people all the way to their destination. A big Tesla semi-trailer truck, promises Musk, would be cheaper to use, safer and “really fun to operate”. Both will be unveiled in 2017 (they’re under development now, confirmed Musk). 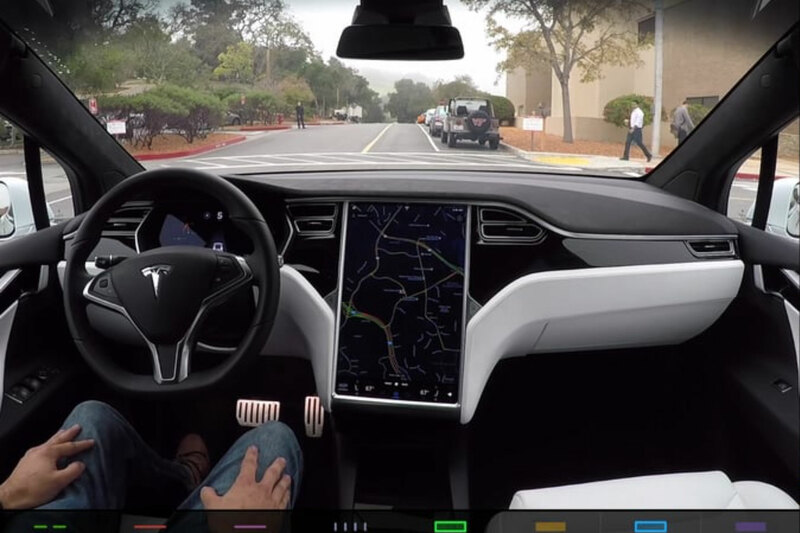 At the moment, Tesla Autopilot is officially in the beta stage. As part of Musk’s master plan, that beta tag will one day be removed – that will be when it is “approximately 10 times safer than the US vehicle average”. So there you go: Tesla wants to make cars 10 times safer than normal cars, and fully roll them out in the next 10 years. Musk wants to “enable your car to make money for you when you aren’t using it”. This will be dependent on true self-driving being approved by regulators: then, Tesla will let you add your car to a Tesla shared fleet via the smartphone app and have it make money for you. What’s more, Tesla will also take on cab operators and Uber: where there’s lots of demand for self-driving taxis, “Tesla will operate its own fleet enduring you can always hail a ride from us no matter where you are”. The last point he stressed: “no kidding, this has literally been on our website for 10 years”. Explaining the first master plan, he said he started off with point 1 because “it was all I could afford to do with what I made from Paypal”. He admitted he thought the chances of success were low, hence starting with his cash rather than someone else’s.